Laurier is a remarkable university with an impressive past and a bright future. As Laurier community members, we take our mission of inspiring lives of leadership and purpose seriously. You may also know that to sustain this Laurier spirit, we depend on support from our community. Haven’t made your donation yet? 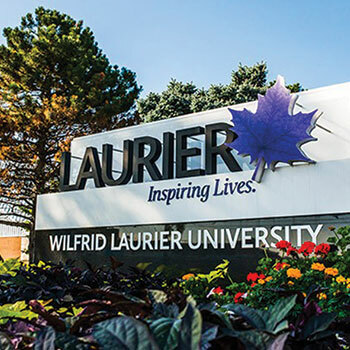 There’s still time to support Laurier and qualify for a 2018 tax credit. To every donor who generously invested in Laurier and our exceptional students this year, thank you. If you have questions about your donation and require information during the holiday period, please contact Duncan Malcolm, director of advancement services, at 519.591.3588 or dmalcolm@wlu.ca. The easiest way to ensure you receive year-end giving credit is to make a gift online. Online gifts must be received by midnight on Dec. 31, 2018 to qualify for a 2018 tax receipt. If you are making a gift by cheque, your cheque must be dated for Dec. 31, 2018, and the envelope must be postmarked or date-stamped no later than Dec. 31, 2018 to be eligible for the tax credit. If you are making your gift in person, please note that the university closes for the holiday season Dec. 21 at 4:30 p.m., reopening Jan. 2, 2017. For your convenience, in Waterloo, there is a drop box located at the main entrance of Alumni Hall (to the left of the doors). If you are making a gift of stock, the gift must be signed over via the brokers on or before Dec. 31 in order to receive a 2018 tax receipt. To make a gift of stock, fill out the form for the donation of securities.